love this! The sky and the light & shadows! Neat shot, love the shadows. I choose light..got lots of shadows of mistakes in my life. Great exposure! 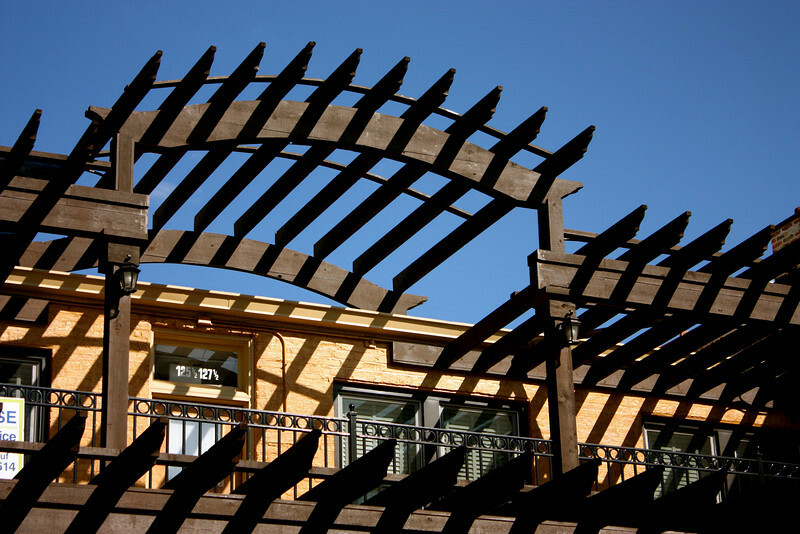 Love the contrast in the arbor and building colors!! Very interesting capture of the shadows. Very intriguing lines and shadows.